Car Talk & Farm Jeep? Reader bt asked us if Farm Jeep ever made an appearance on Car Talk. The answer is yes, but before we go into that, a little background. For far longer than farmjeep.com has existed, the best car and Jeep advice and the best entertainment on the radio was this show featuring two brothers. Although the show stopped new episodes in 2012, it remains available on line and you can still listen to old shows and even ask questions on their forum. Today Car Talk continues to be a Farm Jeep resource and it even plays a role in medical education. Now back to that question. 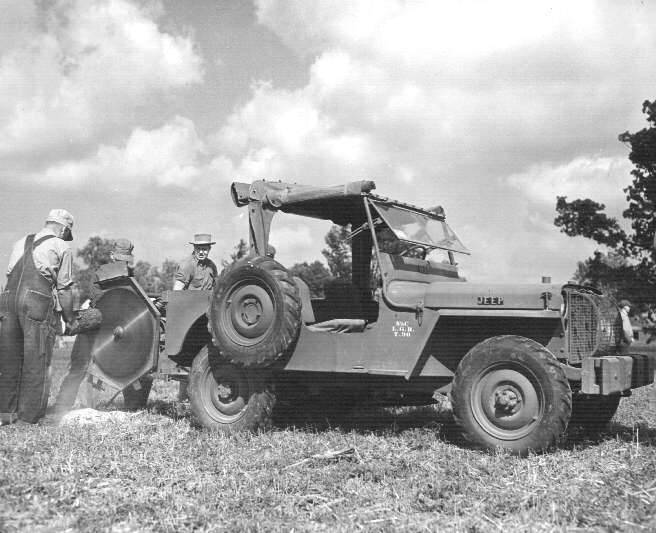 Farm Jeep did make an appearance in a “Puzzler“, a feature of the show that asked listeners to solve a puzzle. Always fun and educational, this particular “Puzzler” featured a farmer using a PTO driven “buzz saw” like that pictured below. The Mysterious Crowbar. Be sure to try and solve the puzzle before reading the answer.